West Coyote Hills is 510-acres of natural open space bound by Imperial, Rosecrans, Beach and Euclid. 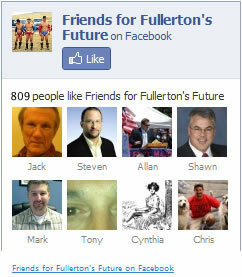 The future development of Coyote Hills has been the subject of much controversy in Fullerton for many years. Can Coyote Hills Be Saved? Will the West Coyote Hills Saga End Tonight? If heart says anything about a cause this cause has heart. However, the hill to climb is steep (and expensive) . Tuesday late afternoon, I happened to be driving down Amerige when I came across a group of folks who were marching for a cause of saving Coyote Hills. “Save Coyote Hills” Movement Losing Steam? Coyote Hills Development – What’s Next?